Work out like the athletes of yesteryear with Leather Head's Handsome Dan medicine balls. 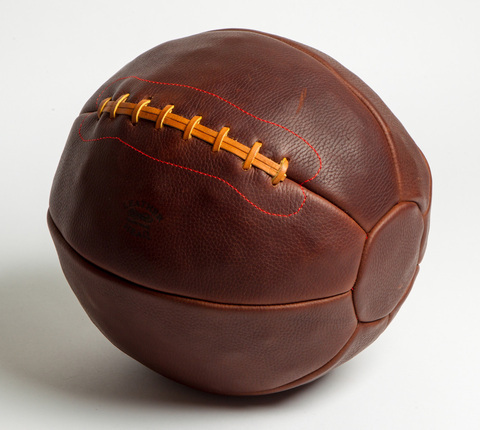 Painstakingly researched and constructed out of tanned leather, these medicine balls are beautiful reproductions of the exercise equipment made popular during the early 19th and 20th centuries. With use, this ball will age to a beautiful patina. Magnificent on display, but intended for use. Additional leather options available.